Augmedics Ltd., a developer of surgical navigation systems, raised $8.3 million in its series A funding round, the company said in a statement Monday. Davos, Switzerland-based venture capital AO Invest AG led the round, with participation from seed investor Terra Venture Management Ltd. and the Israeli Innovation Authority, the Israeli governmental arm overseeing public investments in technology firms. Augmedics develops an augmented reality headset for medical procedures. Called ViZOR, the headset projects X ray-like 3D visualization of the patient onto the retina in real-time, allowing surgeons to "see" through the patient's skin, muscle tissue and bone. It is designed for use in minimally-invasive spinal surgeries and other surgical procedures. Augmedics will use the funding to complete pre-clinical and clinical trials for ViZOR and establish strategic partnerships for distribution, the company said in the statement. 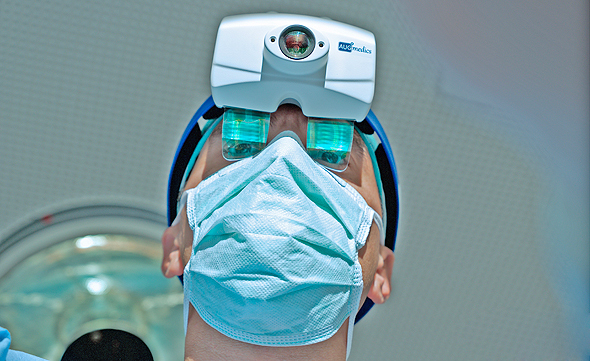 "Augmedics designed ViZOR to provide surgeons with an opportunity to look deep inside the patient's anatomy and receive valuable information in real-time in a convenient, intuitive manner," said Augmedics co-founder and CEO Nissan Elimelech in a press release. "We are happy to partner with Augmedics and believe in the potential of AR to shape the future of surgery and lead to better clinical results," said AO Invest Chairman Michel Orsinger. Founded in 2014, Augmedics is based in Yokne'am in the north of Israel. The company raised seed funding from Terralab Ventures, a Yokne'am-based incubator established by Terra Venture Management. AO Invest was founded by non-profit organization AO-Foundation. It specializes in medical visualization, robotics, imaging, data management, and digital health.